Indisputably one of the most spectacular waterfalls in the world, Niagara Falls attract millions of visitors each year. It is no wonder – the highest drop is 57 metres (188 ft) in height and the largest falls are almost 800 metres (2,600 ft) wide. During the peak season about 6,400 m3 (225,000 cubic ft) of water plunge over the precipice of the Niagara River creating an eternal cascade that fills the air with mist. The adjacent Niagara Parkway is a tourist filled promenade with a magnificent view of the Falls. The Falls have been the main point of attraction since they were discovered, however tourists shouldn’t overlook the surrounding area’s verdant landscape, fruit orchards, wineries and historic sites. The Niagara Wine Route is part of the area’s burgeoning wine tourism where a series of paths and trails guide tourists to the surrounding wineries. On a less touristy note, the adjacent city of Niagara-on-the-Lake is the charming historic town nestled along the cross-roads of the Niagara River and Lake Ontario. Small enough to visit without getting lost, this is a great place to shop, dine and wind down after the excitement of the Falls. Situated along the U.S.-Canada border, three water falls of varying sizes make up what is commonly known as Niagara Falls. The Falls are partly in the Canadian province of Ontario and partly in the American State of New York. The American Falls and the Bridal Veil Falls lie along the U.S. A good portion of Horseshoe Falls lie on Canadian soil with a small portion straddling the United States border. Niagara Falls originate from the Niagara River which flows from Lake Erie and drains into Lake Ontario. The Falls are about 120 kilometres (75 miles) from Toronto and about 27 kilometres (17 miles) from Buffalo. The city of Niagara Falls, along with Niagara-on-the-Lake and Fort Erie, form the Niagara Falls District within the Niagara Region. This is an area bounded by the Niagara River and the U.S. border on the east, Lake Ontario on the north and Lake Erie on the South. A high likelihood for the etymology of the name points toward a word of native origin. Onyara meaning “neck” in Mohawk, identifies the neck of land between Lake Erie and Lake Ontario. The Iroquois town of Ongniaahra translates into “land divided into two.” Several written records indicate that during the 17th century French explorers met groups of indigenous people whom they identified as Niagagarega. The Falls were formed about 10,000 years ago during the glaciation era in the North American continent. They were discovered by European explorers in the mid 1600s and by the early 19th century the area was already a tourist attraction. Long recognized as an important and coveted source of power, Niagara Falls has been providing hydroelectric power since the late 1700s on both sides of the Canada-U.S. border. Since its discovery Niagara Falls has seen its share of daredevils who challenged the powerful force of the water by jumping over the falls. A series of lunatic and illegal attempts to “survive the fall” saw a high number of individuals attempt to jump over the falls in one manner or another. Among these was a 63-year old woman who went over the falls in a barrel. She survived. Several others who followed the jump were not so lucky. Thanks to the presence of the lakes the Niagara Region enjoys a less frigid climate with respect to the rest of Ontario. The microclimate in the area is the result of the mitigating effect of the lakes and the sheltering effect of the area’s geological formation. This is a fundamental economic factor that has made the Niagara Region an important fruit and vegetable-growing region. Niagara enjoys four seasons with numerous frost-free days and summers that range from warm to hot. Summers tend to be humid and thunder storms are common. The average summer temperature is 27 ºC (81 ºF). The average low temperature in the winter is around -7 ºC (19 ºF). Although Niagara Falls are situated along the United States-Canada border .When visiting the Falls on the Canadian side of the border it is recommended that you carry Canadian currency (not US Dollars). There is a foreign currency exchange office at the Table Rock Welcome Centre (6650 Niagara Parkway). Niagara Falls banks are generally open Mon – Fri, 10 am – 4 pm. Those who do not hold accounts with these banks are charged service fees that range from CAD$3.00 to CAD$6.00 for transactions including Automatic Teller Machine services. Appropriate clothing and footwear are necessary when visiting the Falls due to the high amount of water that is present in these areas. The Niagara Region enjoys a climate that is milder than most of Ontario, however, it can be unpredictable. The coldest months in Niagara Falls are from November to March during which visitors can expect temperatures to average between -6º C ad 4º C. Winters are subject to heavy snowfalls. The warmest months are between June and August with average temperatures between 15 º C and 26 º C. April to October constitute the in-between seasons usually ranging from comfortable to cool/chilly. For general tourist information visit the Niagara Falls Official website. Niagara-on-the-Lake is a popular film location. Several movies have been shot with well known actors such as John Candy and Alan Alda in Canadian Bacon (1995), Richard Gere and Hilary Swank in Amelia (2009), and Nicholas Cage and Dana Carvey in Trapped in Paradise (1994). From Toronto Pearson International Airport you can reach the Falls in about one hour and a half to two hours (121km). If you are driving take highway 427-S until you reach the Queen Elizabeth Way (QEW) West toward Hamilton, follow the signs for Niagara/East Hamilton/Fort Erie. 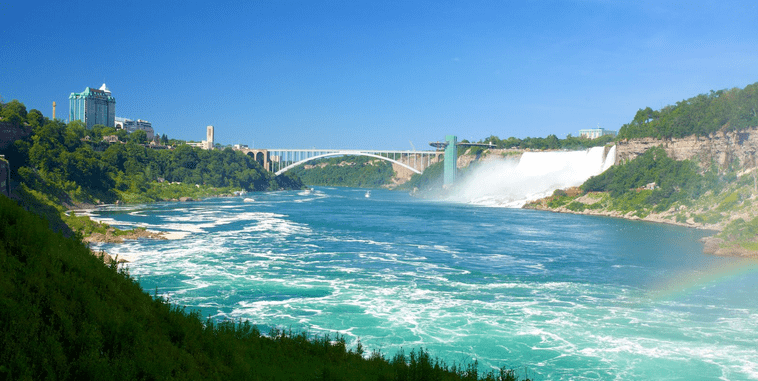 Take the ON-420 exit toward The Falls/Niagara Falls – U.S.A. If you are planning to stay in Niagara-on-the-Lake follow the QEW towards Niagara until you cross the Garden City Skyway at St. Catharines, exit at 38B and follow the Niagara-on-the-Lake signs until you get to Highway 55. Continue on H55 for about 12 km (7 m) northeast to Queen Street to reach the city’s Business District. If you are driving from the United States, from New York State via Buffalo, take the I-190 N and I-290 E to Tonawanda. Exit at 1 and take the NY-265 N to LaSalle Expwy, then take R. Moses Pkwy to J. Daly Blvd in Niagara Falls, NY. Take the exit toward R. Moses Pkwy. Take Niagara St., Rainbow Bridge and Falls Ave/Regional Rd 420 to Stanley Ave in Niagara Falls, Canada. If you are staying in Toronto and you’re planning a day or weekend trip to Niagara Falls you have several options for reaching the Falls. The Niagara Airbus can pick you up at the airport or at some of the major downtown hotels. Rates vary according to the number of passengers, luggage, where you’ll be staying, type of service and so forth. You can expect to pay an average of about CAD$150 plus tax for one person (return ticket). The most economical way to travel to Niagara Falls from Toronto is by train. Via Rail operates out of Toronto’s Union Station. There is a Niagara Falls train schedule with trains departing all day. The two-hour ride costs roughly CAD$40 (note that fares vary according to time of day). Via Rail also operates a bus to the Falls. Airport limousines and chartered buses for groups are available from Toronto International Airport to Niagara Falls. Several companies have flat rates. Passengers should inquire at the time of booking to avoid surprises. The same company also operates taxi and shuttle bus service within the Niagara Region and to smaller airports in Hamilton, Niagara, Toronto Island and Buffalo. From Toronto Airport there are taxis that operate on flat rates. They have more or less fixed rates for Niagara Falls. Some of them don’t require advance reservation or booking. If you are on a budget this may not be a good option as rates can be as much as CAD$215 one way from the airport to Niagara Falls. Shuttle rates vary according to company, number of travellers, routes, etc. It’s always good to do a little research and compare rates before travelling. A typical shuttle rate from Toronto Airport to Niagara Falls based on City of Toronto and City of Niagara regulations is about CAD$220 for a 6 passenger shuttle. The ride is about one hour and thirty minutes. At the moment, Niagara Falls does not have a car share program. There is one in St. Catharines, about 20 minutes from Niagara Falls. Community Car Share is the non-profit organization that runs the program. Only long term plans for frequent drivers are available at the moment. It may not be suitable for tourists and occasional visitors to the area. Operated by Niagara Parks and Commission and Niagara Falls Transit, WEGO is a bus system that will get you to the main tourist attractions in Niagara Falls and Niagara Parks. Bus routes operate on a coloured line system. The Green line is for the Niagara Parks route, the Blue line is for the Fallsview route, The Red line is for Lundy’s Lane and the Purple line is for Downtown Queen Street. Bus lines meet at the Table Rock transfer point. Bus fares* are CAD$7.00 for adults (13+ years) and CAD$4.00 for children aged 6-12 years for a 24-hour pass. Tax is already included. To view route maps, updated fares and schedules visit the WEGO website. Public transportation in Niagara Falls is serviced by Niagara Falls Transit. The service is available 7-days a week. It does not operate on major holidays. Bus fare: CAD$2.50 for adults, CAD$2.25 for senior (65+), CAD$2.25 for students (13-19), CAD$1.25 for children (6-12), free for children 5 years and under. 30-Day passes for adults are CAD$70.00, seniors (65+) and students (13-19) pay CAD$54.00, high school students (13-19) pay CAD$192.00 for semester passes. Ten-day passes are $23.00 for adults, $20.50 for seniors (65+) and students (13-19) . Day passes are $6.00 for all categories. For information about routes, maps and schedules visit the Niagara Falls Transit website. The entertainment scene in this part of town is animated by the Casino. The Fallsview Casino and Casino Niagara emanate vibes that attract visitors for more than just the gaming tables and slot machines. The casino bars, restaurants, shops, beauty spas, hotels, live entertainment and a wedding chapel draw non-gamblers looking for daytime and after hours entertainment. The area around Fallsview boulevard is the local entertainment strip where bars and clubs are clustered. They are easily reachable on foot. If you have a sense of humour and an open mind you can head over to Yuk Yuk’s Comedy Club (5705 Falls Ave.) for an evening of hilarious comedy. Dinner is sometimes included in the price of the show. A few doors down on Falls Avenue is the Hard Rock Club. Part of the Hard Rock Café franchise the venue has thumping music you can hear down the block. Nostalgic travellers can visit the rooms dedicated to rock music legends, Elvis and the Beatles, or chill out in the retro lounge. A less loud spot can be found at Margaritaville (6300 Fallsview Blvd). While the pseudo-island atmosphere is a little artificial this unpretentious place does operate on a more relaxed pace, even with the music from the live bands. The menu features a mix of island, Caribbean and southern cuisine, non alcoholic beverages and, of course, margaritas! Those who prefer a more formal establishment can head over to R5 Lounge (6380 Fallsview Blvd). The upscale cocktail lounge has a sleek black and white décor with private booths and breathtaking views of the Falls. The Merchant Ale House (98 St. Paul St) is a pub with a good selection of local ales, live music and plenty of atmosphere. For many people the beer assortment is worth the 20-minute trip to St. Catharines. Located at the Dragonfly Night Club (6380 Fallsview Blvd) is a large, 12,000 sq.-ft. establishment with an Asian-inspired décor. The interior areas are surrounded by 14-ft iron doors that divide the space and look like something you might find in one of the more recent James Bond movies. DJs play R&B and House music while people on the crowded dance floor glance up at the video ceiling. L3 Nightclub (6 James St., St. Catharines) opens at 9pm and provides affordable thirst quenchers and all the music you can handle. If you’re up to partying all night you can dance to the sounds of the top dance hits. If the bar scene is not for you the annual Shaw Festival in Niagara-on-the-Lake at 10 Queen’s Parade might be a better choice. The world renowned festival features musicals and cabaret, among other things. The season runs from April through October each year. The Avalon Ballroom (6380 Fallsview Blvd) is an entertainment venue with a Las Vegas atmosphere. Animated year round by international stars like Jay Leno, Keith Urban and Il Divo, just to name a few, the venue also features full scale productions with dancers and singers. Like any other tourist destination Niagara Falls has its very own cluster of souvenir shops, and you needn’t travel far before you run into the Falls Skylon Gift Shops. If you are interested in more than just souvenirs, however, you don’t have to limit your shopping spree to the Falls area. The nearby Niagara-on-the-Lake offers a welcomed retreat after a day at the Falls. Go for a pleasant stroll along the town’s core areas and shopping district (Queen St) where you can find all kinds of shops, cafés, restaurants, souvenir stores, book stores, museums and local markets. Travellers looking for retail chains like Dollarama, Carlton Cards or Future Shop can visit the Niagara Square Shopping Centre (7555 Montrose Rd). Less than 10 minutes from the Falls, this is a medium-small shopping mall where you won’t have any problems finding your way around. In Niagara-on-the-Lake the Shaw Theatre Gift Shop (10 Queen’s Parade) offers an interesting collection of music and film DVDs, Broadway productions, musicals and George Bernard Shaw Festival memorabilia and other assorted gifts. Head over to Clare’s Harley-Davidson® (590 York Road, Niagara-on-the-Lake) if you have never seen the iconic bike. The store also carries H-D® apparel, luggage, bike gear like riding jackets, pants, gloves, helmets, footwear and even cool H-D® stuff for your four-legged best friend. 5200 Robinson St. in Niagara Falls is a one-stop shopping spot for artisan hand blown glass from Maestro Angelo Rossi. Watch a master glass maker bring life to a molten glass mix by shaping it into one-of-a-kind objects before your eyes. Each signed piece comes with a certificate of authenticity. If you are looking for collectors’ items or just enjoy browsing markets head over to Lakeshore Antiques & Treasures at 855 Lakeshore Rd., Niagara-on-the-Lake. There are 6,000 square feet of antique items like China, crystal, furniture, sterling silver objects, jewellery and vintage records and collectibles. The market is open 7-days a week from 10 am to 5 pm. For over 50 years the Niagara Falls Farmer’s Market (5943) has been selling produce, jams, preservers, handmade soaps, Canadian honey, maple syrup and much more. You can find jams, preserves, handmade soaps, and Canadian honey, among other things. Located 2 minutes from the Falls behind the Niagara Falls History Museum, the market is open Saturday mornings. At the Native Canadian Arts shop (129 Queen St. Niagara-on-the-Lake) you’ll find truly original hand crafted items and gifts that are not to be found anywhere else. Fudge lovers can satisfy their cravings at Maple Leaf Fudge® (114 Queen St., Niagara-on-the-Lake) and find delectable gifts like hand made fudge brittle, maple syrup and a range of other fudge products. Let your nose guide you to the Niagara-on-the-Lake shop for all things lavender like essential oils, scented blends and lavender-based food. This is where you can learn about the wonderfully-scented world of lavender and how to grow and maintain your own lavender plants. neōb niagara is at 758 Stone Rd., Niagara-on-the-Lake. Stand out from the crowd with one of the unique clothing at Wearable Art at 233 King St in Niagara-on-the-Lake. The store operates with a focus on very unique artistic items and hand crafted-hand painted items such as handbags, scarves imported from all corners of the world. You can expect to find unusual blankets, toys, bookmarks, greeting cards and a collection of very amusing cat prints. Serendipity (106C Queen St.,Niagara-on-the-Lake) carries beautiful French tablecloths, tea towels and napkins in every colour under the sun, plus hand made plates, kitchenware, jewellery from France and assorted giftware. The number and range of restaurants, eateries and cafés can largely be attributed to the presence of tourists in the area. The quality of the food in many of the mid and high range restaurants is surprisingly high, something you would not expect from a tourist town. This is due to the availability of locally grown produce and flourishing wine industry. The Cannery Restaurant (48 John St, Niagara-on-the-Lake) has an invitingly rustic decor that confers an old world atmosphere. The menu is centred on Italian cuisine and features breakfast, lunch and dinner. Sunday lunch includes delectable dishes such as delicate soufflés, pasta and steaks. Reminiscent of an Italian trattoria The Old Winery Restaurant and Wine Bar (2228 Niagara Stone Rd) is Mediterranean inspired with menus that change periodically to add variety and new ingredients. Pizzas with a choice of fresh ingredients are prepared in the wood burning oven, in addition, the restaurant features fresh appetizers hearty pasta dishes and seafood. Ponte Vecchio (6380 Fallsview Blvd) tempts your palate with mushroom and black truffle sout, water buffalo mozzarella with vine tomatoes and Parma prosciutto antipasti with balsamic vinegar. The menu includes a choice of colourful salads and grilled octopus. Weinkeller (5633 Victoria Ave) calls itself “a craft winery with fresh food.” The customizable prix fixe menu features à la carte or 3 and 5 course menus. All farm-to-table products are locally produced and they are washed down with wines from the well-stocked cellar. The Charles Inn Restaurant (209 Queen St., Niagara-on-the-Lake) is a happy marriage between ambiance and food. Located on the Niagara Golf Course the patio is a lovely place to enjoy breakfast or dinner. The French-inspired menu includes truffle aïoli, parmesan and truffle Mac and cheese, gazpacho, chocolate paté with hazelnuts. An assortment of finger food and scones with Devon cream are the perfect accompaniment to England’s most prized tradition- afternoon tea! The Copacabana (6671 Fallsview Blvd) Brazilian restaurant is a carnivore’s destination. This is where you can get meat with a side order of meat, complete with samba-dancing girls and plenty of music. Meat is expensive, however, and this may not be for those on a tight budget. Pay Il Gelato di Carlotta (59 Queen St., Niagara-on-the-Lake) a visit if you think you can eat cannoli stuffed with gelato, a range of sorbets and gelatos inside real fruit and pastries that look as good as they taste. You will not regret it. If you can’t eat true gelato in Italy this might be the next best thing. These delights are free of emulsifiers and hydrogenated vegetable fats. Ingredients are true to their original recipes and are sourced directly from Italy. Conveniently located near the Shaw Festival this is a delightful après-theatre stop. Frijoles Fresh Mex Burritos (3465 Portage Rd, Niagara Falls) is a popular burrito destination with a choice of home made salsas. There are options for those who are allergic to gluten. The Olde Angel Inn (224 Regent St., Niagara-on-the-Lake) is a charming pub with a mix of English pub food, tavern fare and European classics like escargot, French onion soup and bruschetta. The cozy British pub ambiance makes up for the prices that are slightly above mid-range. At 4613 Queen Street, Niagara-on-the-Lake, Paris Crêpe Café serves almost 40 types of sweet and savoury crêpes and French bistro food. The restaurant closes each afternoon for about 3 hours and reopens at 5pm except on Sundays. Dense with atmosphere, the Irish Harp Pub (245 King St., Niagara-on-the-Lake) is Irish-owned and decorated – thanks to the interiors that were shipped directly from Ireland. For the most part the menu is composed of traditional pub finger food washed down with plenty of Guinness beer. Every year from September to October Niagara Falls hosts Food Truck Fridays at 300 Taylor Road at the site of the Outlet Collection mall in Niagara-on-the-Lake. The city kicked off Food Truck Fridays in June 2014 to inaugurate the opening of the mall. The trucks operate from 12pm to 7pm and wok on a rotating basis. The fare includes menus designed and prepared by culinary students. The abundance of hotels in this part of the world is driven by the thriving tourist industry. Visitors looking for less touristy environs can travel a short distance away from the Falls and find themselves immersed in a less artificial setting. The bucolic surroundings of the Niagara vineyards and fruit orchards are the idyllic backdrop for charming B&Bs and hotels. If you’re on a tight budget you will likely have to give up a suite overlooking Horseshoe Falls. 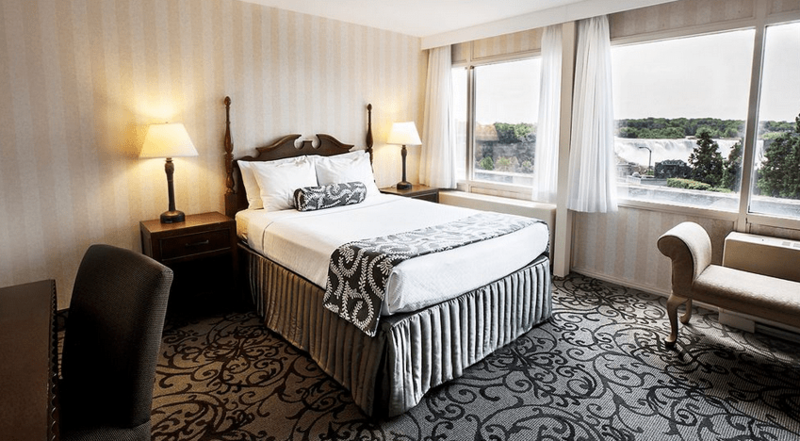 You needn’t compromise on comfort, however, because there is no shortage of hotels in Niagara Falls. Let’s not forget that it is, after all, a tourist town, therefore advance booking is highly recommended, especially during the warmer months. The Rex Motel (6247 Mcleod Road) is about 10 minutes from the Falls. The hotel is comfortable and provides good value for what you pay. Rates* start at $50 during the low season and double during the high season. Free parking and free Wi-Fi are a real bonus and you are only 10 minutes from the Falls. 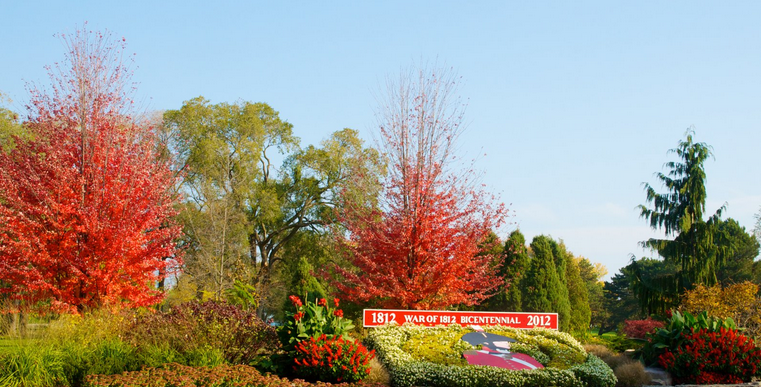 The Residence & Conference Centre Niagara-on-the-Lake (26 Queen St) is in a central location within the idyllic surroundings of the vineyards and golf courses. It is less then 1km from the Outlet Collection shopping centre. The amenities for this budget hotel include a kitchenette in each room and BBQ facilities in the patio. Families with children can include a child under 12 years in their room using existing beds at no extra cost. The average rate is about CAD$100. The Howard Johnson Hotel by The Falls (5905 Victoria Ave) is your run-of-the-mill lodging with the standard amenities you would expect from a large chain hotel. It provides affordable lodging a short distance from the Falls. There is a fast food chain restaurant on the premises for those on a mid-range budget. The hotel is pet friendly (ask about extra charges for your furry buddy to avoid surprises). Winter rates start at CAD$55. Blue Moon Motel (84454 Lundy’s Lane) has child-friendly rooms for families of varying sizes. Located about 10-15 minutes from the Falls the motel has clean rooms, a heated outdoor pool with a patio and a BBQ grill. Guests can make free phone calls anywhere in North America. 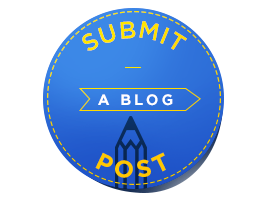 Rates are about CAD$50 – CAD$70. Embassy Suites (6700 Fallsview Blvd) offers spectacular views of the Falls. Located next to the Fallsview Casino, it is within walking distance of the main attractions. There is a Jacuzzi in every room. Average rates are about CAD195 – CAD$219. Pets are not allowed except for service animals. 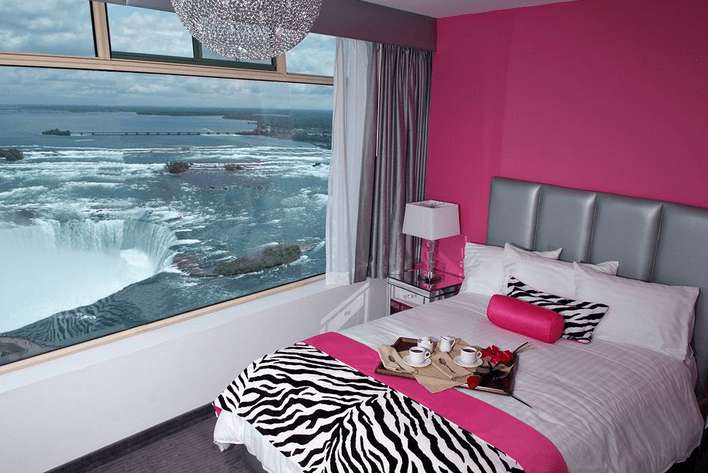 If you are looking for a hotel with a view of Niagara Falls the Crowne Plaza Hotel (5686 Falls Ave) offers just that. The hotel has a children’s recreation area with adult and children’s pools. Daily parking rates apply so make sure you check before booking. Pets are not permitted in the hotel. The average hotel rate is about CAD$145. Great Wolf Lodge (3950 Victoria Ave) is a 400+ room family-oriented hotel with on site babysitting, children’s areas and free on-site parking. Located 5 minutes from the Skylon Tower the hotel will cater to special diet menus if requested. Pets are not allowed. Hotel rates start at CAD$220. 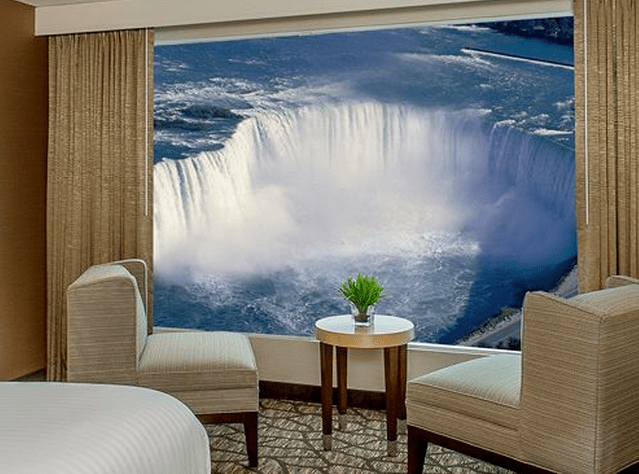 Expect to pay for uninterrupted views of the American and Canadian Falls when you book at room at the Marriot Niagara Falls Hotel & Spa (6740 Fallsview Blvd). Rates start at CAD$150 but do pay attention to all those little extras that can add up quickly. Staying at the Tower Hotel at Fallsview (6732 Fallsview Blvd) is like staying on the Falls. The views are spectacular! Prices start at about CAD$135.00, however, depending on the type of room you choose these rates can increase significantly. The hotel is located 150 metres from the falls but don’t assume that you will automatically be given a room with a view of Niagara Falls. Rooms with city views have a much lower cost. The Tower Hotel includes an on-site wedding chapel and a restaurant on the top floor. Pillar and Post in Niagara-on-the-Lake (48 John St. W) is part of the upscale Vintage Hotels and a nice change from the standardized atmosphere of chain hotels. This small, 122-room hotel is endowed with character and has a je-ne-sais-quoi country chic. With a fine restaurant like the Cannery you don’t even need to leave the hotel to enjoy quality dining. There is an on-site Spa for which the hotel is well known. Rates during the low season start at CAD$200. B&Bs are generally places where service and attention are on a more personable level. Simple things like breakfast in a room full of travellers, where everyone has a story to tell, can become delightful rituals. What better place to meet people than in the familiar setting of a charming Bed and Breakfast. If you are travelling to Niagara Falls with pets and plan to stay at a B&B you should ask the owners before booking, given the small size of B&Bs pets are usually not permitted. A short distance from the Falls, Greystone Manor Bed & Breakfast enjoys views of the Niagara River. The renovated Victorian building maintains many of the original materials and period character. The cozy, well-kept rooms start at CAD$125. Although entirely renovated the building maintains its period character and many of the original materials. Accommodations Niagara B&B (5069 River Rd) offers personable service, generous breakfasts with menus that change often and free parking right on the premises. The B&B is close to everything in the area and the Falls are within a short distance. Average rates are about CAD$119-225. Lion’s Head Bed & Breakfast (5239 River Rd) is a historic turn-of-the-century house with individually decorated rooms named after French Impressionist painters. Delicious breakfasts are prepared by the owner whose international hospitality experience includes a year at London’s (UK) Michelin-star rated Savoy Hotel restaurant. Villa Gardenia Bed & Breakfast (4741 Zimmerman Avenue) is within walking distance of the Niagara Falls tourist district. Built about 10 years ago the B&B has the look and atmosphere of a country cottage. The rooms are spacious and the staff is helpful in providing assistance with travel/tourist information and preparing special diet menus on request. Beautifully-landscaped the premises include a delightful garden for those sought-after moments of relax and quiet meditation. The average rate is about CAD$115. This is mostly suitable for couples or single travellers as the B&B does not accept children 14 years old or younger. To find reviews, hotel deals, and a comprehensive list of accommodations in Niagara falls, please visit Expedia.ca. Many visitors might be pleasantly surprised to learn that there is more to Niagara Falls than water. The region’s historical sites, fruit growing areas and wineries offer an opportunity to extend your stay and explore the surrounding countryside. Tour options range from fully guided to self guided tours, bike, scooter, and helicopter tours of the Falls, wineries and fruit orchards. There are also a number of gourmet tours. All tours, itineraries, prices and schedules vary according to company and season. 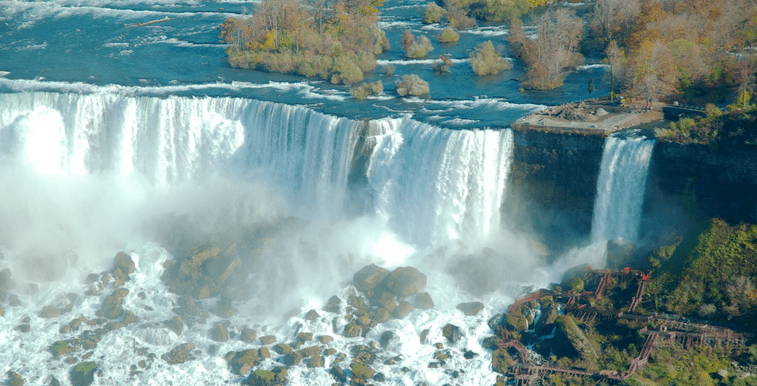 Get acquainted with every aspect of Niagara Falls on this day-long tour. The tour includes the Falls Boat ride, a look behind the Falls, the Table Rock Observatory deck, a stroll in Niagara-on-the-Lake, a scenic drive along the Niagara River and the Niagara vineyards. Tours begin at 9:30 am. Tour prices are CAD$105 for adults, CAD$92 for seniors and students and $75 for children aged 2-12 years. Touring Niagara’s wine country is a learning experience that provides insight into the heritage, historical, geological and culinary aspects of the Niagara Region. It is a chance to meet grape growers, sommeliers, wine authors and learn about wine making. Several tours include lunch and/or dinner, tours for large groups, event tours, customized tours, small winery and estate winery tours. They take place on a bus, bike, van or private car. You can attend culinary sessions, wine and cheese paring or play golf at one of the estate grounds. Private tours are exclusive excursions that allow you to avoid the riff-raff that goes along with group tours. You can tour the falls in a vehicle of your choice with a knowledgeable guide. If you are a small group you can book a mini coach bus or luxury van. For more cozy tours book a Lincoln Town car or an Executive Sedan. The 6-hour long tour includes pick-up and drop-off at any hotel or pick up area in Niagara or Toronto. The fully guided tour includes insider information and anecdotes, Falls Boat Ride, a scenic drive in Niagara-on-the-Lake and wineries. The tour allows time for souvenir shopping and photo taking with the added flexibility of being able to customize your tour. There is an additional (optional) helicopter tour of the Falls at discounted prices. Prices for 1-2 passengers: CAD$495.00, 3-4 passengers: CAD$595.00, 5-6 passengers: CAD$745.00, 7-10 passengers: $1245.00. There is no better way to become acquainted with Niagara’s beautiful country side than by bicycling your way around. This is possible on a self-guided or fully-guided tour. Standard bike tours include the Niagara winery countryside, wine and cheese tasting, wine making, picnic and lunch, microbreweries, Niagara Falls Parkway and the horticulture gardens. The day-long tours start at CAD$49 plus tax. Bike options range from hybrids to mountain bikes, tandems and children’s bikes. Niagara Helicopters Inc. is a company that operates an all day helicopter ride schedule much like a bus schedule. From 9am each day, 7 days a week, helicopters depart every 2-10 minutes depending on the number of people waiting. Each tour is about 9 minutes long and covers 27km (17 miles). These tours operate on a first-come-first-served basis thus eliminating the need for booking. Large groups, however, may wish to book in advance to ensure there is enough space for them. Helicopters will take 2-4 passengers on each ride. Each ride includes headsets with commentaries in 12 languages. If you are looking for a longer tour Niagara Helicopters Inc. has 20-minute tours that run year-round from 9am to dusk. Contact the company to book a Grand Tour, a Family Rate tour, Honeymoon tour or a private tour. If you fancy touring the Falls on two wheels you can cover more ground with a motorized eBike. Rentals are available from March to October on a daily or hourly basis with a minimum of 3 hours rental time. No driver’s license is required but there are height and weight restrictions for safety reasons. Scooter rentals start at CAD$39 for the first 3 hours. The daily average rate is about CAD$59. Different rates apply on weekends. You will probably want to get an early start during the warmer months to beat the crowds – it can be very crowded and busy during peak season. Guided tours are one of the best ways to learn important historically and geologically-relevant information about Niagara Falls and the area. For travellers whose language is not English many tours have narrative audio guides in several languages. 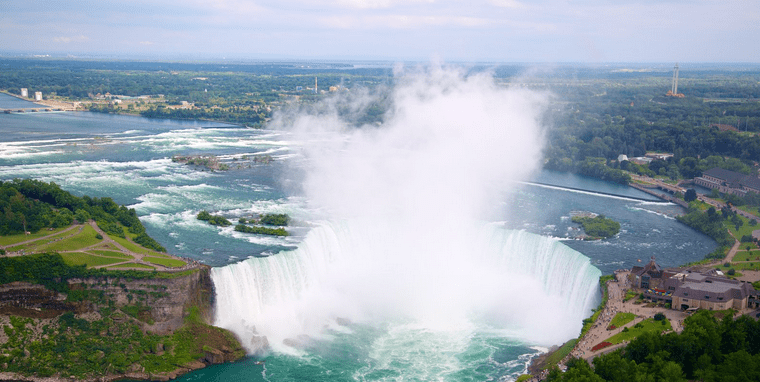 Embark on a journey to the world’s end with the Hornblower Niagara Cruises. For those who still think the earth is flat this may well be where it ends. The rush of adrenaline you experience underneath milions of gallons of falling water is a once-in-a-lifetime event. Boats have been touring the Falls since the mid-1800s and today this is done on a 700-passenger vessel. The boat tour begins at the base of the Great Gorge, then travels past the American Falls and reaches the Horseshoe Falls. The first boat boards at 7:45am, the last boat boards at 7:30pm. Night cruises board at 8:00pm. The Falls Illumination Cruise is from 9:30pm to 10:30pm. Dates and times are always at the mercy of the local weather conditions and are therefore subject to a schedule change at any time. Ticket prices for adults are CAD$19.95. Visit the website for more information. The falls can be also be seen and experienced at the bottom. There is a platform along the Niagara River at the bottom of the Falls with tunnels that can be reached by elevators located on the street. This is known as the Journey Behind the Falls because the tunnels are located behind the Horseshoe Falls. A visit inside these tunnels allows visitors to watch almost 3,000 cubic metres of water fall before their eyes each second at a speed of 65 km per hour. The 45-metre elevator ride cuts through the bedrock to reach the Great Falls portal. The White Water Walk begins with a 70-metre elevator ride followed by a walk along the tunnel that leads to the boardwalk that stretches along the Niagara River. Take the stairs to the observation areas at the edge of the river and marvel at the force of the water travelling at 48km per hour. The 4-km stretch of water has 3-5 metre standing waves that make up the Whirlpool Rapids. Visit the Niagara Tourist board website and the Niagara Tourism website for more information about boat rides to the Falls. The stretch of road that runs between Fort Erie and Niagara-on-the-Lake is the scenic route known as the Niagara Parkway. It extends along the scenic route ends at Fort George, Niagara on the Lake and descends the Niagara Escarpment near Brock’s Monument heritage site. The landscape and natural beauty of the area are worth the relaxing 55km (34.2 m) drive. 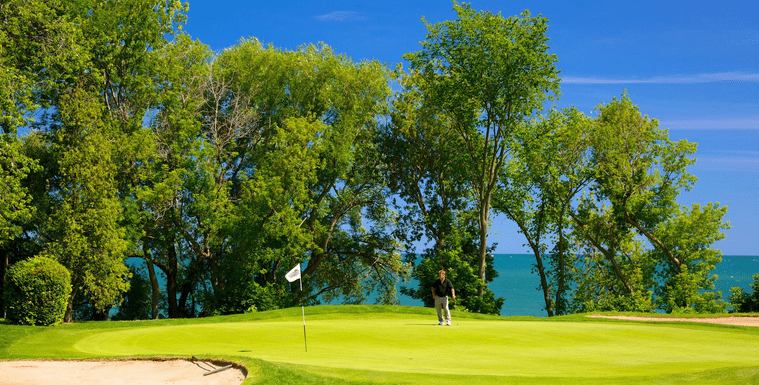 A leisurely drive or bike ride along this route reveals a series of charming villages, attractions of historical interest like the Willoughby Historical Museum, the Legends on the Niagara Golf Course and the tourist district of Niagara Falls. The Parkway provides access to attractions like the Butterfly Conservatory, the floral clock and the Whirlpool Rapids. At Niagara-on-the-Lake the scenic route ends at Fort George. Built in 1965 the Skylon Tower overlooks Niagara Falls. This observation and entertainment tower stands 233 metres (775 ft) from the bottom of the falls and has two restaurants, an observation deck, souvenir shops, a food court, an amusement area and a 4D theatre. The glass elevators provide a scenic 52-second ride to the top of the tower. On a clear day the views extends as far as 129 km (80m). 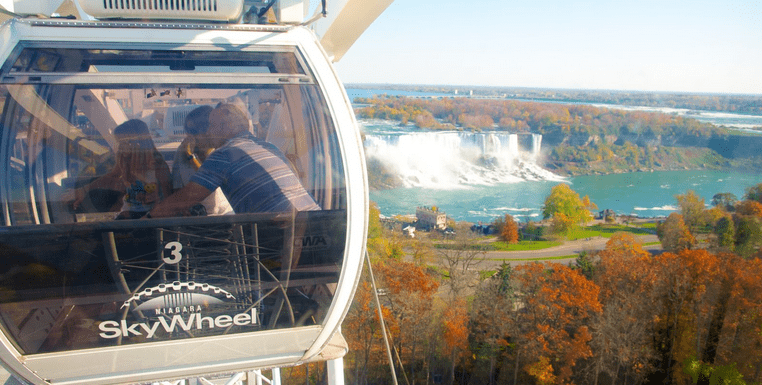 This 53-metre (175-ft) tall wheel offers incredible views of Niagara Falls. Situated on the Niagara tourist promenade known as Clifton Hill, the Sky Wheel take passenger for 15-minute rides inside 42 enclosed passenger cars. Clearly this is not for the fainthearted. There are night rides when the Falls are illuminated by powerful artificial lighting, however, day rides offer the best views of the Falls. Rides are available year-round. Visit the website for information about booking and ticket prices. There are 20 historical museums, art galleries, culinary events, festivals, golf courses, heritage sites, parks and natural habitats, shopping districts, boating events and a range of tours to experience the Niagara Region. These are the sites of heated battles, struggles and conquers. There is a historical path along which you can wander and retrace the area’s historical timeline. From Niagara-on-the-Lake southward the Niagara Heritage Trail is dotted with sites, monuments, battleground sites and homesteads that shaped the local history. Old Fort Erie is the site of the 1814 British-American conflict where freed slaves escaped from the American colonies and poured into Niagara thanks to the aid of local residents. The restored Fort sits on the former battleground and receives daily visits from tourists and history buffs. There are 15 monuments in the area surrounding the Underground Railroad used by American slaves to find freedom and a new home in Upper Canada. Fort George is the site of the 1812 British-American War when it served as headquarters for the Centre Division of the British Army. The National Historic Site is located in Niagara-on-the-Lake. Laura Secord Homestead is the home of a Canadian national heroine of war whose contribution and ally with the British forces during the 1812 War helped the British ward off the invading American troupes at the Battle of Beaver Dams. Canada even has a well-known brand of chocolates that were named after the brave woman. Niagara-on-the-Lake’s McFarland House is a Georgian home dating back to the 1800s. It was then used as a hospital by British and American forces during the 1812 War. Today you can enjoy afternoon tea, take a guided tour and learn about its heritage. The fields of Samuel Street’s farm near the Niagara River are the site of The Battle of Chippawa, when the United States Army invaded Upper Canada in 1814. It was acquired by the Niagara Parks Commission with the aim of preserving 121 hectares of battlefield for historical purposes. The Niagara Parkway is dotted with hundreds of landmarks, monuments, memorials and plaques. Visitors can stop to read the plaques and memorials while touring along the Parkway scenic route. Plaques, monuments and buildings include John Graves Simcoe who was the first lieutenant-governor of Upper Canada during the 18th century, a Thomas Moore plaque, Ireland’s poet and lyricist who visited Niagara in 1804, the Queenston Baptist Church, an example of Gothic revival architecture marks the first Baptist congregation in the area and the Sir Adam Beck Generating Station which was the world’s largest hydraulic generating station when it was first commissioned in 1921. Special events take place from August to October each year. Fort Erie is the site of Black Heritage Day and the Siege of Fort Erie. Visit the Niagara Parks website for information about heritage sites, landmarks, museums, hours of operation and admission prices. Along the Niagara River you can find Niagara Glen, a tranquil designated nature reserve with 4 kilometres (2.5 m) of paths that take you on a walk through the area’s natural, geological and biological treasures. Be prepared to hike and climb along the steep terrain of the bush. The adjacent Niagara Glen Nature Centre sells an assortment of original carved wood products, crafts and artwork by local artists and artisans to help fund the environmental initiatives of Niagara Parks. Many of the flora and fauna species in the area are at risk and visitors are asked to abide by the rules set forth by the Parks. Visitors can explore the area’s geological formations and engage in rare species bird watching through hiking or biking excursions and guided tours. There is no shortage of areas where you can escape modern civilization and immerse yourself in pristine natural settings. Dufferin Islands is a group of islands connected by bridges that offer hiking paths for solitary travellers in search of peace and quiet. Situated at the north end of the Niagara Parkway Paradise Grove is a restoration area for the growth and support of local biodiversity, ecosystems and a number of other environmental initiatives. Miller’s Creek is located along the Niagara Parkway north of Peace Bridge connects Canada and the United States. Currently a public Marina with a boat launch ramp, 135 seasonal docks and a picnic area, this used to be a shipyard when it was owned by the Canadian Ship building Company in 1903. 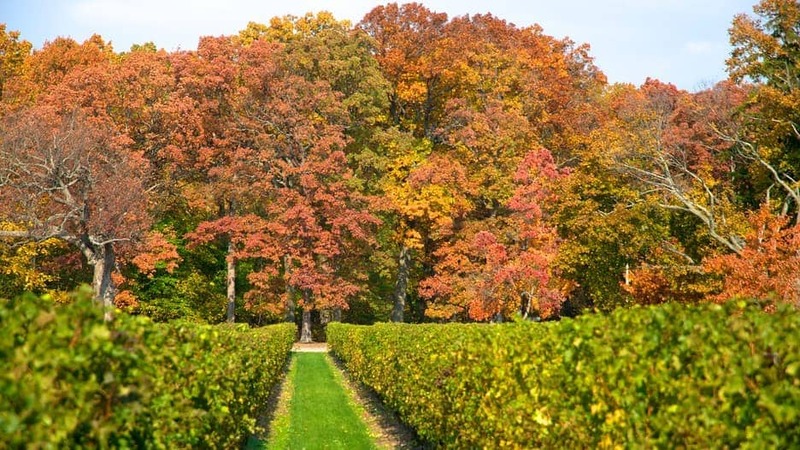 The local wine country is an area within Niagara-on-the-Lake and the Niagara Escarpment, an important geological ridge recognized by UNESCO as a World Biosphere Reserve, and an important habitat for plant and animal species. The microclimate in this region is ideal for the proliferation of dozens of beautiful fruit orchards and wineries. It would be a shame not to visit at least one or two of these beautiful estates. 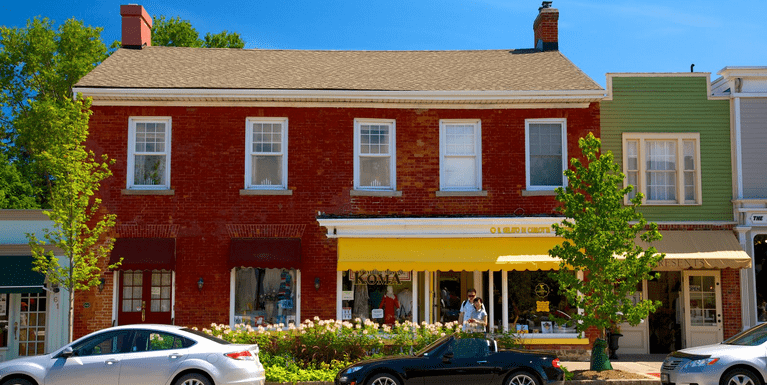 Known internationally for the annual Shaw Festival, Niagara-on-the-Lake is a charming town that deserves its share of attention. Part of the Niagara Region, it is situated 25km north of Niagara Falls. It maintains a more dignified, low-key profile with respect to the Falls but it doesn’t lack character and it’s filled with year-long events and things to do. The local Market at the Village (111 Garrison Village Drive) is a lively gathering place where you can find fresh produce, hot food, pastries and coffee. All fruit and vegetables are grown along the Niagara fruit belt. The Local Market recently welcomed a retailer selling antique treasures. At the Niagara College Teaching Winery (135 Taylor Rd) you can learn how winemakers and viticulture experts manage vineyards and make wine. Take a tour of the winemaking facility, visit the greenhouse and dine at the Culinary Institute. The Niagara wine region is the setting for the Bravo Niagara! Festival of the Arts (1025 York Road) where music and winemaking become the real melody makers of the venue. The non-profit organization made its debut in April 2014 and features compositions by Beethoven, Ravel and Sibelius, among others. Niagara Jazz Festival (2145 Hwy 55, 844-Liv-JAZZ) is a non profit multi-venue jazz event that takes place each August and features Canadian and international jazz musicians. The pleasant aspect of this event is that it combines good music with local sites and attractions like nature trail concerts and weekend getaways, among other things. Niagara-on-the-Lake is home to the renowned Shaw Festival. It is the second largest repertory theatre in Canada and each year people attend from all over Canada, the United States and abroad. Founded in 1962 “Shawfest,” as it is also known, comes alive yearly from April to October and features plays, part of which are Shakespeare plays, cabaret, Broadway productions, musicals, workshops and so much more. The Theatre has a gift shop that offers more than the usual souvenir paraphernalia. You can find Broadway and film DVDs, music and books centred on the arts and Shawfest. A popular destination for visitors the RiverBrink Art Museum and Foundation (116 Queenston St) features art collections by Samuel E. Weir and the River Brink permanent collection. The New Gallery displays watercolours by 18th – 20th century Canadian artists including the Canadian artist circle known as the Group of Seven. The museum is open from 10am to 5pm Wed – Sat. For a full listing of annual events, shows and festivals in Niagara Falls visit the Niagara Falls Tourism website. This wonder of nature should be appreciated for its geological, historical, geographical and socio-economic aspects. Guided tours have qualified, knowledgeable staff that will provide all this information. For self-guided tours there are plaques and posters providing historical and geological information. You will want to get an early start to beat the crowds, long lines and the hassle of trying to get from point A to point B to ensure you cover everything in one day. Be prepared to pay for most of the sights and tourist areas. Package deals and passes may be a better, more cost-effective option, they can be purchased at 4960 Clifton Hill, Niagara Falls. Wear appropriate clothing and footwear because it’s going to get wet! You can purchase your ticket as early as 7:45am and set off to see the falls at 8am. If you can’t get enough of the Falls you can always come back when the sun goes down, Hornblower’s Sunset Cocktail Cruise is a 30-minute tour complete with beverages and Niagara wine. Observe the Falls from the observation deck below, learn about the history of the tunnels from the information plaques along the itinerary trail and from a short film. Watch the powerful force of the water and understand why this is not only a wonder of nature but also a precious source of energy. Take the 70-metre elevator ride down to the tunnel leading to the boardwalk to observe the rapids. If you think you’ve seen everything there is to see about the Falls after the Hornblower boat ride – think again. The sheer speed and force of the rapids is spectacular. This is a conservation area and you are likely to encounter birds and other small animals along the way. Short as it may be, the ride over the Rapids complements the White Water Walk tour and the knowledgeable guide provides additional, useful information. These tours provide plenty of opportunities to increase your repertoire of nature photos. The one-kilometre ride takes place on an antique cable car that has been operating since the early 20th century. Renovations and updated features have been added to ensure passenger safety at all times. This is not a tour but a very useful information centre where you can watch a 4D movie about the geological history of Niagara Falls. It is also a good place to escape summer thunderstorms and chill out until they blow over. The area is equipped with an Automatic Teller Machine (ATM ), a currency exchange office and a First Aid area. The 775-ft. high observation tower offers spectacular aerial views of the Falls, the surrounding Niagara Region, the Toronto and Buffalo skylines. Some visitors swear these are the best views of the Falls. The Skylon Family Fun Centre allows you to give your kids a break from sightseeing. This is where you can grab some lunch and do your souvenir shopping if you see anything you like. The shopping area includes the Galleria where you can purchase beautiful one-of-a-kind blown-glass creations. You can also find some interesting native hand-crafted objects. Located 6 minutes from Horseshoe Falls along the Niagara Parkway (4960 Clifton Hill), The Skywheel provides the thrill of being suspended over a large body of rushing water. The cars are climate-controlled and enclosed for maximum safety. If you are not a fan of Ferris Wheels or suffer from vertigo you should probably stay away from the Skywheel. The area’s casinos provide quality entertainment, fine dining and responsible gaming. This is not Monte Carlo therefore you can dress more casually. 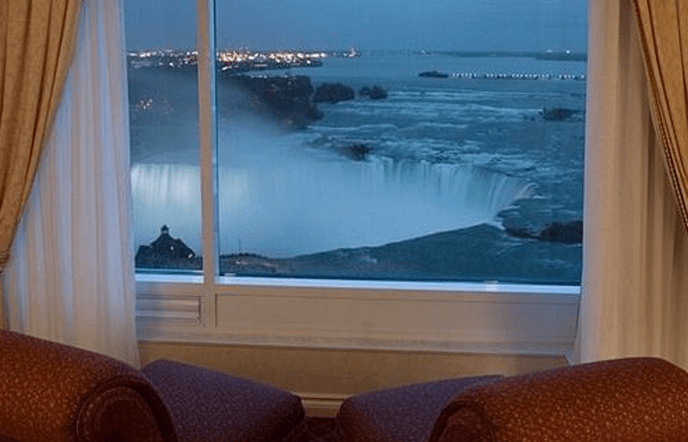 Stay at the casino hotel resort and book a room with a spectacular view of the Falls to make your last night at Niagara Falls a memorable one. Niagara Casinos have non-smoking and responsible gambling policies. Know your limits and have fun! Niagara Falls Tourist District as per Niagara Falls Day Itinerary but save the Casino for another day. This way you can have more leisure time shopping for gifts and viewing the Falls. The Niagara Museums are a group of 4 museums all located in close proximity to each other, their locations reference specific sites with historical relevance of the area. A former schoolhouse this humble building houses historical documents and early life tools. This, along with the interactive exhibits may not the highlight of the tour but it is a piece of local history. The museum is open from May until August and closed during the winter. About 10 minutes north along the Niagara Parkway, Portage Rd and Main St, is the location of the recently renovated History Museum (5801 Ferry St) which provides insight into the history of the area, the Falls and the society that revolved around Niagara Falls. The museum is open from Tues to Sun from 10am to 5pm and 10am to 9pm on Thursdays. Admission for adults 20+ years old is CAD$5, CAD$4 for students 6-19 years old, CAD$15 for families with a max of 5 people. Children under 6 years of age have free admission. A few steps away from the Battle Ground Museum at 6110 Lundy’s Lane is the battlefield where you can take a self-guided walking tour of the grounds. Pick up a map of the tour at the Niagara Falls History Museum and follow the trail, about 1.7 kilometres in length. The markers along the way guide you through the historical timeline of the battle and the memorial cemetery. From Lundy’s Lane go east along Ferry Street toward Clifton Hill and 5020 Centre Street. The 5-7 minute drive will take you to the Rock Wax Museum. Classic rock aficionados will love the tour along Rock and Roll memory lane with a collection of music, rock memorabilia and over 60 life-size wax statues of rock music legends. For hours of operation contact the museum at 905-354-6255. The Guinness World Records Museum needs no introduction. Kids can enjoy the haunted house and get lost in the Mystery Maze. The museum is open all year long. Admission for adults is CAD$13.99 plus tax, for seniors and students CAD$11.99 plus tax, children (12 year old and under) pay CAD$8.99 plus tax. Set along the Niagara Parkway at #2565 the 99-acre gardens are a feast for the eyes. The wonderfully landscaped gardens are bursting with colour and intoxicating scent. The rose gardens are abloom with over 2,000 varieties of roses. Be prepared to do lots of walking. Guided tours run from May to October. Hours of operation are 10am to 5pm. There is a CAD$5.00 charge for parking. A little farther along the Niagara Parkway at #7145 you can reach another corner of paradise showcasing tropical plants and flowers such as orchids, cacti and roses. Yearly events feature seasonal flowers. Admission for adults (13+ years) is CAD$5.00, for children (6-12 years) CAD$3.75. Located between the Niagara Parks Floral Showhouse and the Rapidsview parking lot along the Niagara Parkway, the islands are easily accessible via interconnecting bridges and footpaths. If you are looking for a quiet escape area for some tranquil hiking, this is it! Admission is free. 15 minutes north on the Niagara Parkway (after the Whirlpool Golf Course) this geological exploration of the Falls area is for nature lovers looking for pristine nature paths. A nature reserve since 1992, you are bound to meet rare species of animals and plants along the way. This is a restoration park with important ecosystems. The park recently received financial support from the Canadian Government to help fund the environmental initiatives of the protected areas. Located inside the Great Canadian Midway entertainment complex the Dinosaur adventure golf may not be your idea of a dream golf course, but it can satisfy your need to hit a few balls and make your kids happy. Kids enjoy the dinosaur atmosphere and parents enjoy the two 18-hole mini golf courses. Located just one minute from Clifton Hill at 5685 Falls Avenue, the indoor water park is situated across from the Rainbow Bridge and the U.S. border. This family entertainment complex has water slides, wave pools, toddler splash areas and Jacuzzis for adults. Day passes are CAD$44.95, children 2 years and under have free admission. Ten minutes from Falls Avenue, south along Montrose Road, Niagara Go-Karts (7104 Kinsmen Ct) is a place where everyone can have a lot of fun. Families with children should be aware that there are age and height restrictions on certain cars. Ticket prices vary depending on number of laps. Hours of operation are noon to 9pm. but they change with the seasons. Market at the Village is located atLocated at 111 Garrison Village Drive at the corner of Niagara Stone Road (Hwy 55) and Niven Road. Antiques and Treasures is a 6,000 sq.-ft. antique market located at 855 Lakeshore Road, just 8 minutes from the Market, and operates from 10am to 5pm 7-days a week. Niagara Region on Horseback has expert trail guides to assist even the most inexperience riders so they can enjoy the scenic landscape. There is a minimum age requirement of 10 years. The stables are open 7 days a week. Reservations are highly recommended. A number of growers and producers in the Niagara Region have opened their doors to the public. Visitors can visit the estates, sample and buy just about everything they produce, from jelly to organic honey and cheese. Also known as “Shawfest” the Festival season runs from April to October each year. There are 6 interesting guided tours that teach you the basics of wine, wine pairing and sensory analysis. There are a number of tours from which you can choose. Biking is perhaps the best way to visit the Niagara wine country and fruit belt. After a long day of sightseeing the Niagara Jazz Festival music event is the perfect pairing with Niagara wines. Spend the day in St. Catharines, a lovely city about half an hour away from Niagara Falls and about 20 minutes west of Niagara-on-the-Lake. Niagara Region’s largest city is known for its beautiful parks, gardens and trails. The harbour front village of Port Dalhousie on the shores of Lake Ontario is a charming setting for historic buildings, shops, galleries and boutiques. Downtown St. Catharines is a heritage site with a vibrant civic centre and the streets are lined with shops, cafes and restaurants. An old-fashioned carousel finds its home in the city’s Lakeside Park, its timeless charm beckons visitors of all ages to hop on and enjoy a nostalgic merry-go-round ride. On the southern shores of Lake Ontario Rolph’s Bird Sanctuary gives visitors a chance to view hundreds of Canadian geese, ducks and other beautiful native birds that make this area their home. Considered one of the wonders of the world, Niagara Falls has been attracting international tourism for over a century. The surrounding parkland and wine region are an added bonus for those who wish to extend their stay and take it to the next level. 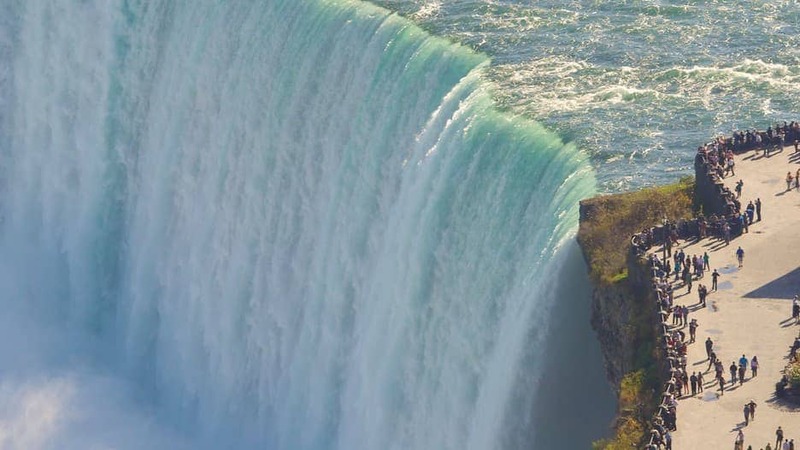 Indisputably one of the most spectacular waterfalls in the world, Niagara Falls attract millions of visitors each year.